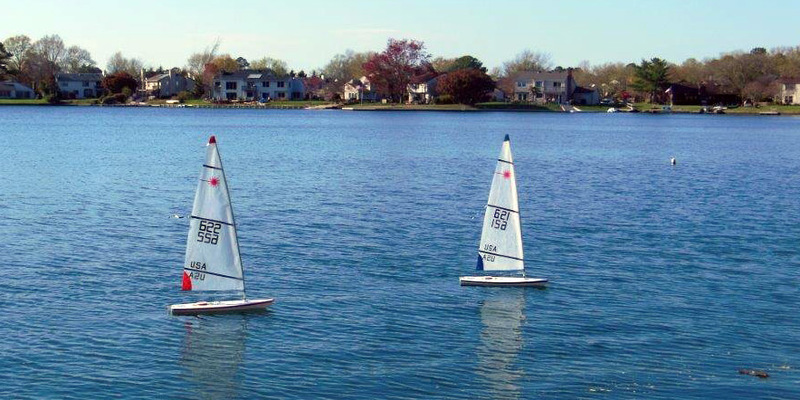 Last Saturday afternoon the fledgling Eastern Virginia RC Laser group kicked off the 2015 sailing season on Lake Christopher in Virginia Beach at the home of Duncan and Karin Bell. Although there were only four boats in the water, controllers were passed around the assembled group to allow potential RC Laser buyers to experience the fun of RC racing. For two of the skippers this was their first time sailing their new Lasers so the event stared with a thorough check out of both boats and a few adjustments to make sure they were fully ready to compete.